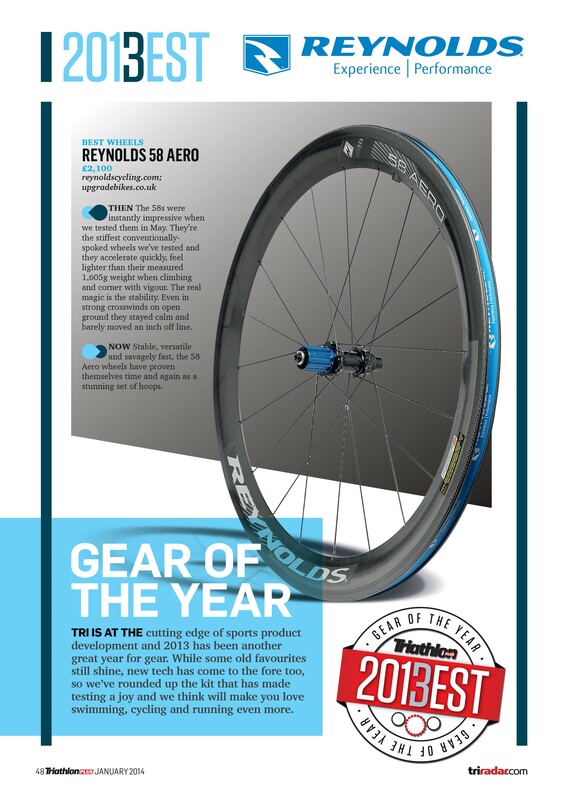 Reynolds 58 Aero Wheel of the Year! Whatever you ride there’s one thing we can all agree, triathletes know what products can make you faster… Launched earlier this year the 58 Aero wheelset proved to be a revelation; fast, light, strong, great in the corners & seemingly impervious to cross winds. What’s more the guys at Triathlon Plus/triradar.com agree voting the 58 Aero’s ‘Wheel of the Year’… These better be on your Christmas list!